Tamil movies : A rough and tough Arya with Padmapriya. 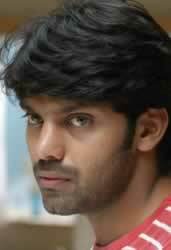 Arya of Arindhum Ariyamalum fame is again acting in a movie directed by Vishnuvardhan, titled Pattiyal. The movie is titled Pattiyal, since the heroes of the movie go on listing the corrupt politicians and punishing them. Arya acts as a rough and tough angry young man with Padmapriya of Thavamai fame acting opposite him. Kadhal fame Bharath is the other hero of the movie. He has Pooja as his lady love. Pattiyal is one of the expected movies in the cine circuit with the hit pair of Vishnuvardhan and Yuvan Shankar raja coming together again. 2 crores for Dharani; 1.5 for Selva. Special permission from Laloo for Sivaji. "Keep your figure trim for Sivaji"
Other actresses learn from Sneha. Star sells t-shirts in the ramp. Rajini’s daughter Soundarya in Paramasivan Vishnuvardhan’s Kalisunte.